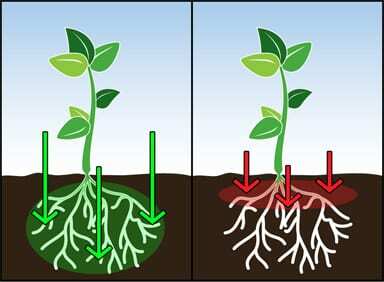 Trees and shrubs need the same things in the root zone as plants do. Problem is, it’s often harder to add fertilizer and supplements for well-established shrubs and trees. 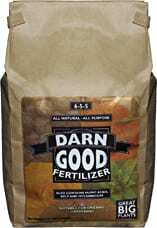 Fertilizers and amendments have to be tilled in over the root zone or injected. In many cases there are other plants or landscaping features which make this a challenging project. Application of N-P-K fertilizer is not the only challenge – how do we get other amendments into the root zone of trees and shrubs? Adding compost is usually done by piling it under the tree and waiting for it to break down and seep into the root zone. 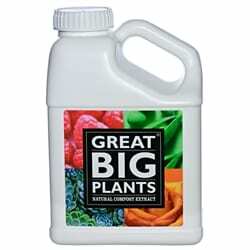 Fortunately, Great Big Plants Natural Compost Extract comes as an easy-to-apply liquid that acts fast to supply important ingredients missing from traditional fertilizers. 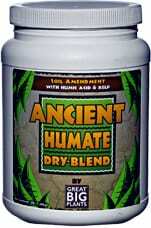 Natural Compost Extract flows to the root zone to start working immediately. The beneficial microbes and microbe food (kelp and humic acids) in Great Big Plants assist the tree in mining more nutrients from the soil and placing them in the tree’s tissues. A healthy microbial population converts available soil nutrients to forms that are not as easily leached with watering, thereby keeping more nutrients in the root zone and in reserve for a growth push.